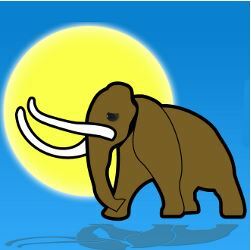 My favorite Pre Algebra worksheets with answers are Maria Miller's Math Mammoth downloads. She has done a super job of gathering together a wonderful Math curriculum that you can either download or buy as a hard bound book. She covers all of the regular Pre-Algebra topics like negative numbers, geometry worksheets, math formulas, variables, absolute values and xy slope intercept form and more. Her Blue Series has Math by topics and includes all the answers. You can get placement tests for Math Mammoth from Maria's website which can help you find your child's Math level. Remember that it is a diagnostic test, meaning that the score simply shows which areas need more work and which topics to cover next. Her Blue Series combines the textbook and workbook, while her Light Blue Series is meant to be a curriculum. I bought the Everything Bundle that includes the Blue, Light Blue, Gold, and Green series as it covers so much; and I can pick and choose what I want to use. This is super helpful for homeschooling when you'll have other children using the worksheets. I wish I'd found this before my older children were starting math. You can also buy the individual Pre Algebra topics that you need for about $3 to $8 each instead of buying the whole set. 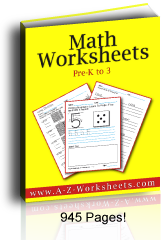 All of the Math Mammoth Blue Series has the answers in the appendix of the worksheets downloads. Karin Hutchinson has built a website for teaching Pre-Algebra and Algebra concepts directly to students. You can buy her courses, too. She has worksheets that you can also download, especially to test drive her program. I love that she has homeschooled her own children. She has a crisp, clear and sweet voice for explaining algebra terms and lessons. Her enthusiasm makes her a perfect tutor. Check out Karin's Algebra-Class here. The fields of Algebra and Geometry are the basis for Calculus and Trigonometry which prepare for work in Physics, Mechanics, Engineering, Astronomy, and Business. Algebra recombines numbers and variables so as to figure long equations easily. Basically the word Algebra means "solving an equation" and the use of Algebra flows directly from the use of Arithmetic. It extends to working with two and three unknown quantities. Memorize the PEMDAS line to use Order of Operations Worksheets. Parenthesis, exponents, multiplication, division, addition, and subtraction; but remember that in the real world multiplication and division (multiplying by the reciprocal) are of equal priority as are addition and subtraction (simply adding a negative). The phrase "Please excuse my dear Aunt Sara." works well with guided problem solving and you must use that formula if your Math textbooks use it because you'll get a wrong answer if you don't. Memorization makes Math easier, so memorize that operations of equal priority should be worked left to right - usually. See what we found at Wikipedia on our Order of Operations Pre-Algebra Worksheets. Maria Miller has my favorite Pre-Algebra Worksheets with Answers.